The purpose of plastic electroplating is to coat on the surface of the plastic with metal, which not only makes a better outlook, but also compensates the shortcomings of the plastic, imparts the properties of the metal, and fully utilizes the characteristics of the plastic and the metal. Today, a large number of plastic electroplating products have been applied to electronics, automobiles, household goods and other industries. Cleaning: Removing the finger print and dirty which is left after injection molding process, and it can be removed with an alkaline agent, neutralized with acid leaching and washed with water. Solvent treatment: The surface of the plastic can be wetting to interact with the conditioner of the next step. Conditioning: The surface of the plastic is roughened into an internal recess so that the coating is tightly adhered and not easily peeled off, also known as chemical roughening. Sensitization: the adsorption of a reducing agent on a surface, in common they are stannous chloride or other tin compounds. That is, the adsorption of tin ions on a plastic surface has a reducing surface. Compared with metal parts, plastic electroplated products can not only achieve a good metal texture, but also reduce the weight of the product, improve the appearance and decoration of the plastic, and improve its electrical, thermal and corrosion resistance. The mechanical strength Performance of the surface improves. 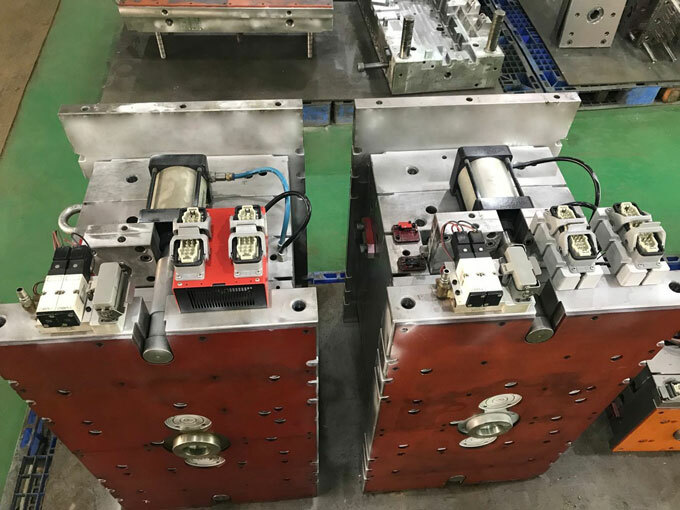 However, the choice of plastic materials for electroplating must take many factors into account, such as the processing properties of the materials, the ease of electroplating, and dimensional accuracy. Because of its structural advantages, ABS plastic is not only excellent in comprehensive performance, easy to process and molding, and the surface of the material is easily eroded to obtain high plating adhesion, so it is currently widely used in electroplating. With the rapid development of industry and the increasing application of plastic plating, it has become one of the important methods of surface decoration of the plastic products. At present, it has been widely used in ABS, polypropylene, polysulfide, polycarbonate, nylon, phenolic glass fiber reinforced polymer. Electroplating on plastic, polystyrene and other plastic surfaces. Inside of these materials, ABS plastic plating is the most widely used, the best plating effect. Poor weather resistance, easy to be exposed to light and embrittled. Water absorption rate is high.